Location, location, location! 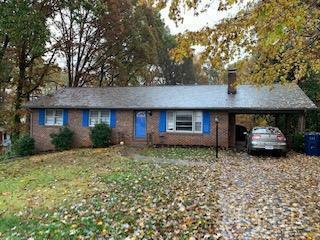 This three bedroom, two bath, brick ranch style home is located in the Timberlake Road neighborhood area close to shopping, Brookville schools, and many restaurants. It has a large, bright eat-in kitchen with lots of cabinets and counter space, and an informal dining area. The formal living room has a beautiful brick fireplace and there is an additional fireplace in the huge tiled family room downstairs. The basement is roughed in for another master bedroom and bathroom. This home also has a carport, new dishwasher, new roof, new gutters, and even the heat pump has new coils and compressor, all within the last year. There is a huge fenced in back yard for your pets! Come by soon!